It’s a sure bet that when Wednesday Campanella plays a festival lineup, frontwoman Kom_I will steal the show. She’s brave, never hesitant to jump into a crowd and rap face-to-face with her fans. That allows the trio’s other members, trackmaker Kenmochi Hidefumi and the media-shy Dir.F, to chill a bit during performances and indulge in a sneaky whisky (ideally Early Times, Hidefumi’s go-to). But then, the group played the 2016 edition of South By Southwest in Austin, Texas. However, on Wednesday Campanella’s newest EP, “Galapagos,” Hidefumi has decided to scrap his winning mix of house and dance pop, and slow things down instead. “We wanted to do more acoustic and ambient songs, tracks that had a slower BPM,” he says about the eight-track release that comes out today. That’s evident in the early “Matryoshka,” which features sparse percussion and a relaxed beat that gives Kom_I space to sing instead of rap. 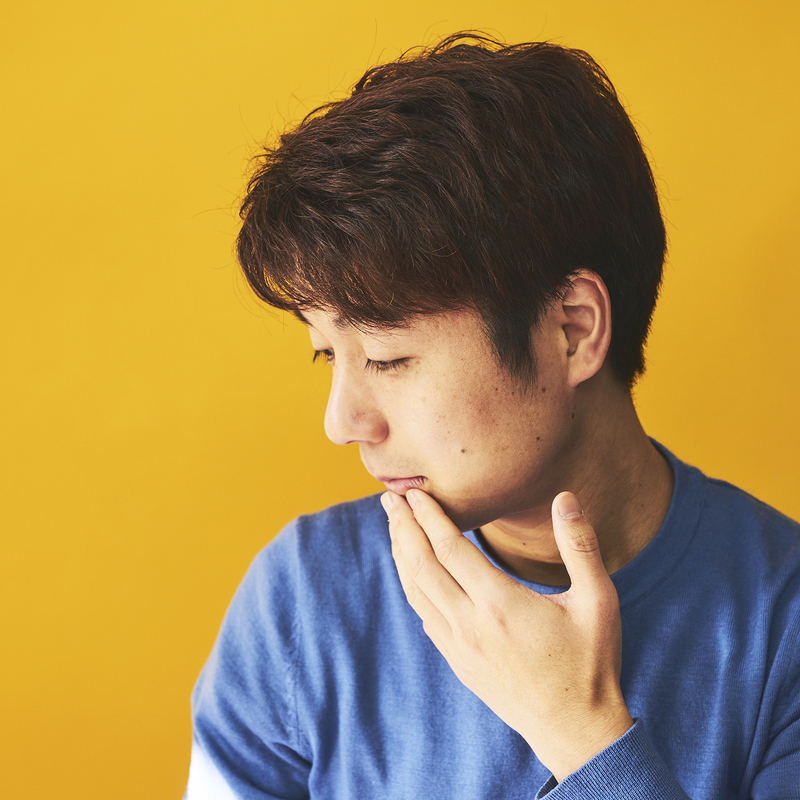 The vibe carries over into songs with skippier beats such as “The Bamboo Princess” and “Minakata Kumagusu.” Where once he would have amped everything up, Hidefumi allows pockets of silence to appear mid-song, upping the drama a bit. Being able to switch styles up this easily is a valuable skill in a landscape where trends change quickly. Hidefumi grew up close to Omiya, Saitama, a Tokyo suburb that allowed for a comfortable, if slightly boring, childhood. He bought an electric guitar in junior high school but became fascinated with the kinds of dance music he read about in magazines like Groove and Remix. A band soon followed. “I started having a lot of fun, making drum ‘n’ bass tracks and weaving in melodies using a MIDI keyboard,” he says. This high school hobby became the basis for Hidefumi’s solo work, which, over the course of six releases in the 2000s, found him matching electronic percussion with keyboards and guitars. Despite titles fit for a head shop — “Twisted Dragonfly,” “Stoner Sunshine” — as a songwriter he liked fast tempos. It was essentially what Wednesday Campanella became, just without the singer. “I heard Mondo Grosso, which had a lot of jazz elements mixed with technology. That was a great mix, and I loved the female vocals they used. I wanted to do that,” he says. But the right vocalist never came along, and he moved on. Hidefumi’s solo work reached a small but influential set of ears, including Jun Seba, better known as the music producer Nujabes. The late beatmaker released one of Hidefumi’s albums through his Hydeout Productions label, after a little bit of trickery that involved Hidefumi asking a friend to place an unmarked tape containing his music on Seba’s desk. By 2011, though, Hidefumi was ready for something different, prompted in part by the Great East Japan Earthquake that struck on March 11 of that year. He met Dir.F and signed on to produce music for a group that originally featured four female vocalists, but only Kom_I stuck. “There was a lot of trial-and-error early on, a lot of experimentation,” he says. “I focused on creating music that didn’t fit with her voice, and I asked her to rap over it.” Kom_I began working more closely with Hidefumi, shaping the sound and urging him to move away from guitars. “She got bored with it. She said she wanted something that was more in line with ‘young music,'” he says. “I started learning about new music because of that, learning about future bass — things with ‘future’ in it.” He paid attention to the sound of Azealia Banks and M.I.A. in particular, and soon found that this busy sonic palette came naturally to him. It was this style that pushed the group to the next level. The producer has succeeded on that front. Another one of his projects was the debut single from Ryuchell, the musical project of Instagram influencer Ryucheru. Bringing up the end result — “Hand’s up!! If you’re Awesome” — with Hidefumi results in a bit of nervous laughter. 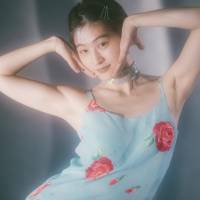 The track is a Rick Astley-esque homage to the 1980s and ’90s, and it has nothing in common with anything Wednesday Campanella has put out. Listening to the new album seems to stress just how successful the partnership between Kom_I and Hidefumi is, especially on a departure like “Galapagos.” What could have been a risky turn away from the rapped vocals and dance beats of previous hits ends up giving Wednesday Campanella new energy and even a bit more depth. After this switch, though, it seems Hidefumi is already mining new sonic territory for his next project. “Do you know Gqom,” he asks late in the interview, referring to a house-derived dance genre from South Africa. He excitedly explains a growing interest in bass music from the continent and plays me some examples he has on his phone. I can almost hear the gears in Hidefumi’s head trying to figure out how to tie them into J-pop, giving them their moment in the spotlight while he stands contentedly off to one side. “Galapagos” is in stores now. Wednesday Campanella plays Kawaguchiko Stellar Theater in Minamitsuru District, Yamanashi Prefecture, on June 30 and July 1 (6 p.m. starts; ¥5,500). For more information, visit www.wed-camp.com.